I don't think it's a big secret that I struggle with mental health and one of those things being mayor anxiety of different forms. 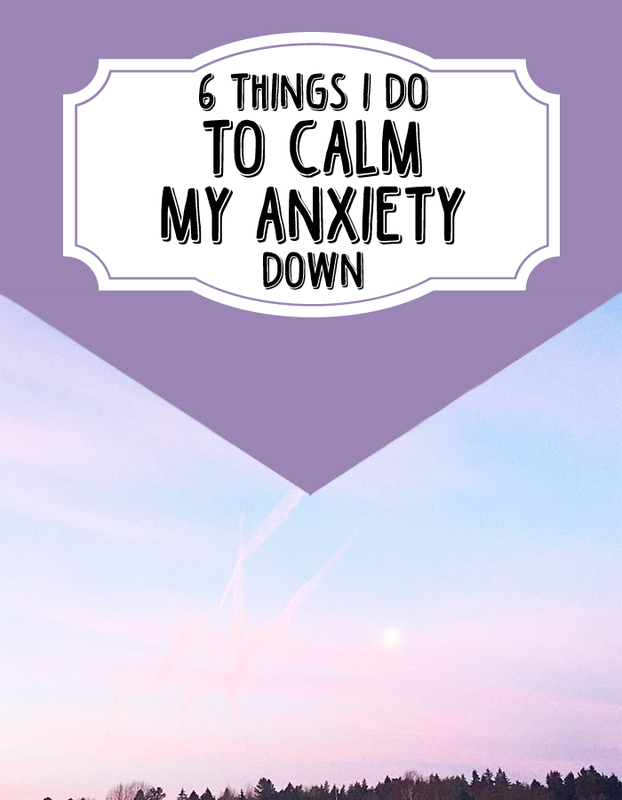 I battle with my anxiety daily and I have done so for a very (very) long time, pretty much for as long as I can remember even if I haven't always known what it is. Please remember that these things below are what works for me. I do hope it can help others out there or at least give them a few quick things to work with to gain more stability in their life. But I am fully aware of that what is ones help can be someone else trigger when it comes to anxiety. Singing. Disney songs especially. I usually put on something like Disney or Moulin Rouge and just sing along loudly, and it feels like the anxiety flies out along with the lyrics. Don't matter if you can hold a tone or not, just sing. Walking. I walk pretty much everywhere, it's a rare thing that I take the bus if it's less than a two hour walk. If I do it's when it's late and there for more safe to take the bus...All though I'm known to walk home then as well hehe. Be Creative. It doesn't matter if it's re-vamping an old t-shirt or art journaling as long as it means creating something. Sometime patching a jacket etc works and sometimes I need to do a whole art journal spread depending on why I have anxiety. Cry. Sometimes all I need is a good and hard cry. My anxiety is often triggered by me feeling that I'm about to break down because I hate showing how I feel. I can be stone cold on the outside but everything that I am is screaming inside. Meaning if you've watched me in a heartbreaking situation and I haven't seemed to cared...Well then you don't know me. Talk about it. If you have anxiety because of a situation or a feeling no matter how small or big it is to those around you it's clearly big enough for you right now to give you anxiety so I find venting helps. Even if it's a person online who you never met. If you don't feel like talking directly to someone, maybe write a blog post if you're a blogger? You don't even have to publish it. Meditate. Any form. Whatever you think is meditation for you personally, do it. I try to mediate every single day to build up a defense against my anxiety (since I have it every second of every day on some level). Some days I take 10 min, other days if I can and need I can meditate for 1-2 hours.